Girard Perregaux - Girard Perregaux WW TC Tourbillon. Girard Perregaux WW TC Tourbillon. I could see some years ago the WW TC Tourbillon in Rose Gold, which is one of my dream watches, for what it is, an exquisite watch. I prefer the white gold case / dark ruthenium dial combination, but the rose gold already gives you a good idea of the beauty of this time keeper. I am not fan of tourbillons, which lost their magic with some more affordable offers. But when it comes to Girard Perregaux, it is different. 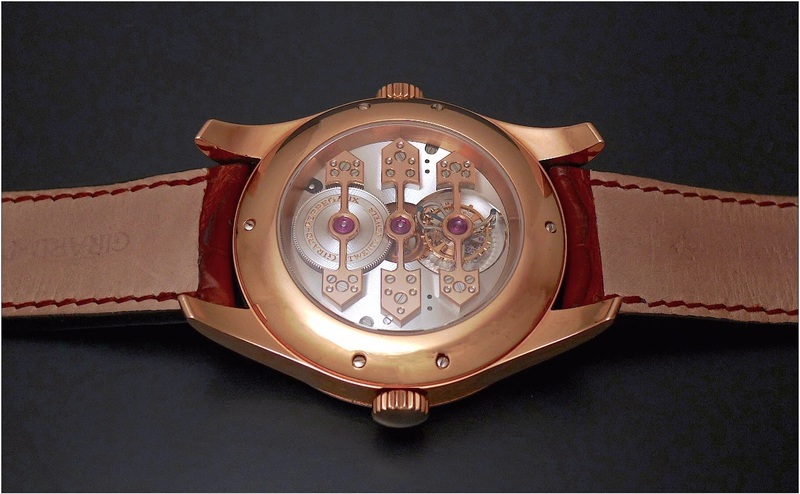 And even better when the tourbillon is on the back side, for the selfish pleasure of its owner. And, as always, the three gold bridges are a milestone in terms of finishings. Cherry on the cake? It is a world time! It's a departure from what you'd expect to see, with much of the gear train hidden away, and the mainspring barrel balancing the tourbillon cavity with symmetry. Very tidy indeed. Dial side doesn't look so bad, either! Oof, thats a beauty I wasn't aware of it's existence. Thanks for sharing! 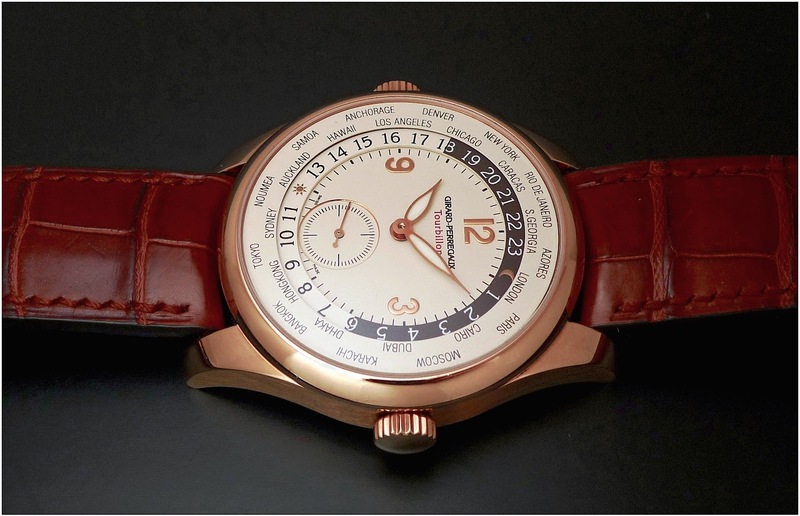 Girard-Perregaux, one of the few watchmakers I appreciate more. This particular model is just amazing with a movement that speaks for itself. They probably should just stick with their high-end collection and tailor them for true connoisseurs with big pockets. I seem to be the right guy, just with the wrong pocket. With ease! Give me ten more years, please! And thanks for sharing, you're a true asset for us enthusiasts!